On February 1, 2018, the Japanese Communist newspaper “Akahata” (“Red Flag”) celebrated its 90th anniversary. Facing periods of illegality and suppression during its history, Akahata has been at the forefront of class and democratic struggles in Japan, the effort to preserve peace and abolish nuclear weapons, the movement against U.S. occupation, and in the fight for an independent Japanese foreign policy. Below is Akahata’s editorial from its 90th anniversary issue. We have today reached the 90th anniversary of the first issue of Akahata. We would like to express our gratitude to our subscribers and those who have provided us with encouragement and support. For the last nine decades, Akahata has championed the principles of pacifism, popular sovereignty, freedom, democracy, and protection of people’s livelihoods, although there was a time when the paper had to suspend its publication because of war and police crackdowns. As the current Shinzo Abe government is stepping up its attempt to revise the Constitution [so as to allow the revival of a Japanese military force with offensive capability—eds. 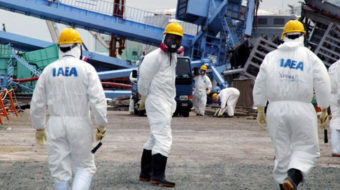 ], Japan is now at a crossroad in its postwar history. Under this circumstance, more and more people are directing their attention to Akahata, a conveyor of truth from the people’s perspective that is working to promote citizens-opposition parties’ joint struggle against Abe’s reckless policies. With a strong feeling of responsibility and eagerness to fulfill its role, Akahata has dedicated itself to help create a bright future for Japan’s politics. On February 1, 1928, the Japanese Communist Party (JCP), which was founded in July 1922, published the first issue of its organ, Sekki, the old name for Akahata. At that time, the Imperial Japanese government was intensifying its invasion of China. The party had been banned since its foundation, and its members had no choice but to work as illegal activists. 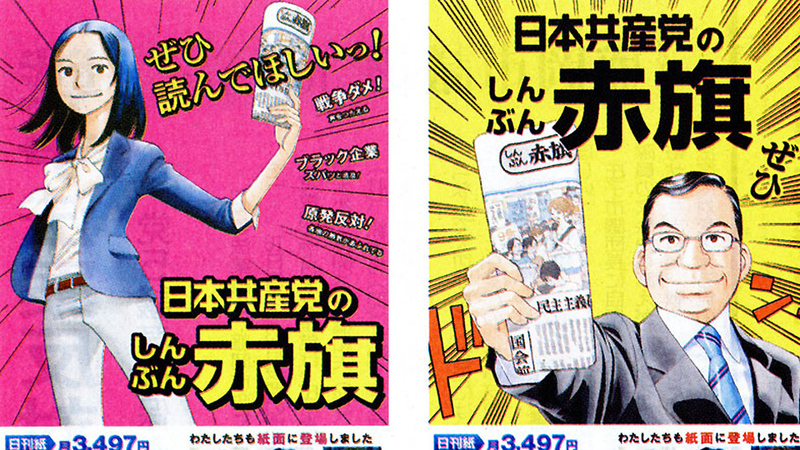 The appearance of the party’s newspaper created a public sensation. In 1931, when Japan launched its war of aggression in Northeastern China, then called Manchuria, the JCP paper wasted no time in taking a firm stand against the war and urged the government to refrain from sending any soldiers to the front. Confronting suppression, JCP members opposed the war at the risk of their lives. 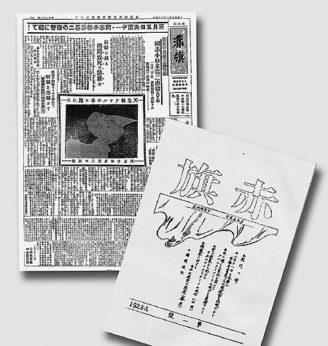 In contrast, commercial newspapers supported the war in China under the slogan, “Manchuria is the lifeline of Imperial Japan.” A year later, Japan set up a puppet regime in Manchuria and 132 newspapers across Japan issued a joint statement welcoming the “independence” of the now-renamed “Manchukuo.” Despite this situation, the JCP newspaper protested against the war of aggression and advocated peace. This is an important fact to consider in the history of journalism in Japan. Following harsh crackdowns, the paper was forced to suspend publication in 1935. However, Akahata’s efforts during wartime were not vain. Its position was rational and based on justice and conscience. That is why what the paper had called for was realized in the post-war Japanese Constitution. Abe’s constitutional revision attempt will turn Japan into a “war-capable nation” again by overthrowing the principles of peace and democracy in postwar Japan. This is nothing but a retrogressive move in history which is extremely dangerous. 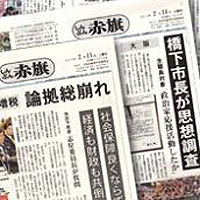 Some media giants disseminate the Abe government assertions as if they are the regime’s PR organs, and the mainstream media’s watchdog functions are becoming impaired. 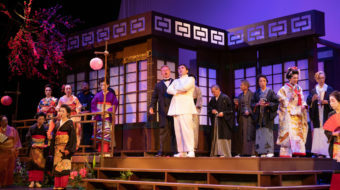 In contrast, Akahata takes on the task of engaging in a head-on confrontation with the Abe scheme and assumes a decisively important mission in telling the truth without fear of covering taboo topics. Well-known writer Akagawa Jiro said, “I hope that Akahata will forever be a newspaper that sides with the sufferings and sorrows of each and every person.” On the occasion of the 90th anniversary of Akahata’s first issue, a lot of celebrities from various quarters sent Akahata congratulatory messages. The JCP will discipline itself to work hard to continue publishing the paper of truth. In addition, it is very encouraging for Akahata that the famous actor, Nakadai Tatsuya, assessed that Akahata, with its vigorous reports and interactions with a broad range of readers, has laid the foundation of “joint struggles” of opposition parties and concerned citizens. In times of “united efforts”, Akahata will further play a role as a newspaper for people’s unified cooperation.